Is this pdf properly bookmarked? Agree with Max that some data has been superseded by the Rifts Ultimate Edition, but overall this book along with the Book of Magic are essential for both quick reference, and to tease the vastness of the RIFTS setting. So glad to finally get a legal PDF, my back doesn't appreciate hauling books around anymore. Save bookmarks - no. You have to strip the DRM from the file, to do any kind of edits, including adding/changing bookmarks. As to opening... I haven't had too many problems opening on my Adroid phone or tablet - but I also use Adobe Acrobat/Reader. What's the size of the format? 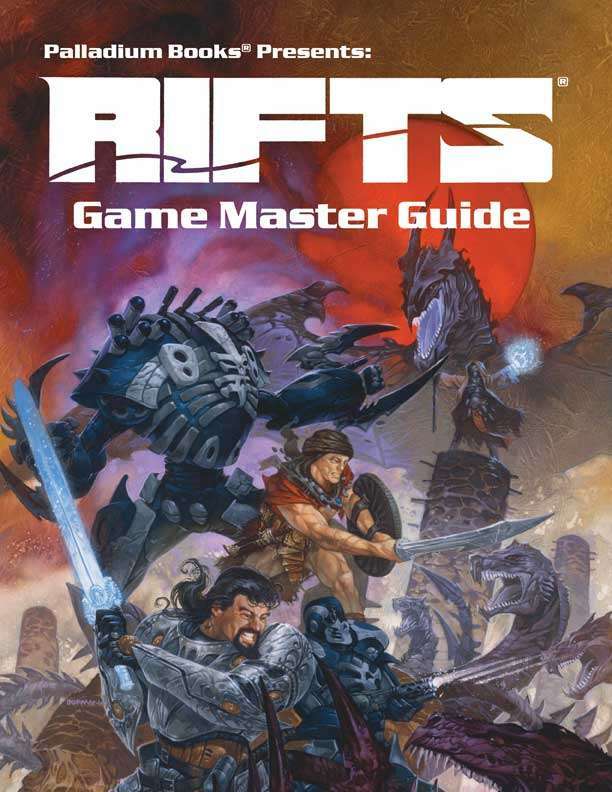 Some of the rules-related content is a bit out of date (see changes in Rifts Ultimate Edition), but this is a must-have book for anyone's collection. Does the occ rcc lists contain stat so we can use? Or is it just a list of classes? Not stats, no. There is a list of O.C.C.s and R.C.C.s that indicates the book and page number where each can be found, and there is also a section with Experience Tables for each O.C.C. and R.C.C. Similarly, the monster list also just provides the book and page number where each can be found. Skills and Psionics have full descriptions and stats; weapons have brief descriptions and full stats; basic equipment just has prices, but other items have descriptions and stats where applicable; body armor has full stats but no descriptions; power armor, robots and other vehicles have essential stats (weapon stats, speed, strength, etc., but just Main Body M.D.C.). There's a Bionics index, but it only lists and provides the book and page number for each item. In the back, there are 14 pages of G.M. advice and 101 adventure ideas, then 21 pages of maps of various parts of Rifts Earth. This title was added to our catalog on April 24, 2017.